In addition to our data recovery services, PC Fixer provides data backup and archiving setup for every type of file system your business employs. No matter what the size of the files, type of interface used, or even different brands of equipment used (from the most obsolete to the very latest storage drives), we can help you manage all of your onsite and cloud-based data backup systems with regular, automatic and complete backup solutions. 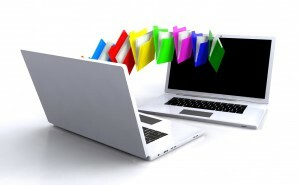 Our business computer services include all types of backups, from tape drives to external hard drives to encrypted online backup routines. Anyone who has upgraded their computer systems with new equipment has faced the problem of what to do with old data that they do not want to lose. We can help you make the best choices to meet your archiving and record-keeping needs as well as assist with any kind of data migration. From the common problem of forgetting to save a current file often enough, to the more major questions of how to store complex but outdated files, the experts at PC Fixer can help you find the best solution. Whether it is off-site storage of databases or the more simple matter of saving to flash drives or burning data to discs, our technicians can explain all your backup options and help to make sure you never lose an important file again! Call us today at 310.948.0588 and see what options are available to you. Please also feel free to email us at info@pcsfixer.com and we will respond to your inquiry as soon as possible.